Kinnaird Wildlife Conservation Centre (KWCC), situated in the Cairngorms mountain range in Scotland, is managed by Dan MacDonald who married Jay, Umedh’s youngest aunt. KWCC have their biggest success in captive breeding with the Panthera Uncia, commonly known as snow leopards, and these beautiful creatures are currently on the endangered species list. When a second litter of cubs is born, KWCC staff celebrated this success with their community in the form of a huge event, and everyone is thrilled to visit the new cubs. But, the day after the function, it is discovered that the three older cubs, and their parents, are missing, and some days later, petty crooks are discovered leaving the country with pelts of snow leopards in their suitcases. Who is the head of this horrible gang and how did they infiltrate KWCC? The JEACs, Rohan, Umedh, Amy, Nimal, Anu, Gina, and Mich, arriving three weeks after this contemptible incident, to spend their Christmas holidays at KWCC, are appalled at the news and determined to catch the felons. They meet Brian, a Scottish lad who lives on KWCC, and he immediately joins the JEACs. Brian’s father, Luag, is head of the breeding programme. Angry and upset at the loss of his beloved snow leopards, Brian updates the JEACs further on what he and his best friends, Cormag and Eadan, have discovered. The JEACs, after listening to Brian, unanimously conclude that the snow leopards are not out of danger yet. They are worried that there may be further nasty incidents at the large winter fundraiser which is to take place in four days. Hundreds of people will be arriving via helicopter, since KWCC is only accessible by air. The JEACs, therefore, put into place a number of plans in order to keep an eye on the snow leopards, and also strive to discover the plot which they are convinced is brewing. Beiste and Clyde, two of the staff members, appear to be misfits at KWCC for numerous reasons, including the unfriendly behaviour of the two dogs, Hunter and Tumbler, towards them. Nobody appears to like the two men. The JEACs have a wonderful time: playing with the snow leopard cubs, zooming around on ski-doos, living in a castle, enjoying the skills of the ingenious Mr. Q, welcoming Cormag and Eadan into their group, singing, participating in winter sports, and the sheer excitement of finding a secret passage. In the midst of these activities, the JEACs are constantly on the alert, attempting to fit the various incidents, occurring on an almost daily basis, into the puzzle they are building as to what might happen to the snow leopards. They must protect the animals at all costs. Read the book and join them in their fourth adventure. 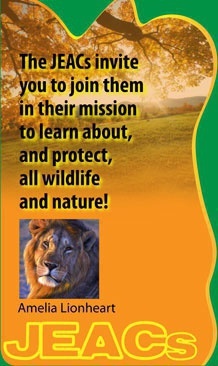 Also, please read the FOREWORD to the book, by DR. DOUG WHITESIDE, Senior Staff Veterinarian at the Calgary Zoo and a highly renowned veterinarian in North America – it’s super! Finally, don’t forget to use your talents and make our world a better place by protecting our animals and planet! 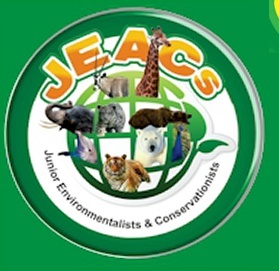 Join the JEACs – the Patels: Rohan, Nimal, Anu, Gina and, of course, their dog Hunter; the Larkins: Amy and Mich; Umedh Ghosh, Rohan’s best friend; and three Scottish boys: Brian Abercrombie who lives on the Kinnaird Wildlife Conservation Centre in Scotland, and his friends, Cormag and Eadan. in their fourth exciting adventure!